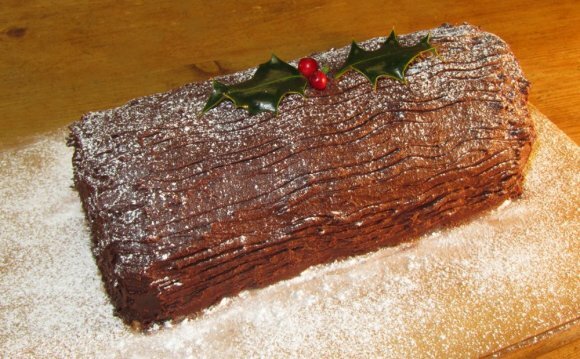 I know the dish looks finicky, and I also can’t promise it’s a doddle, however it works quickly and you'll shortly find you're rolling chocolate logs without an attention. Actually, when you yourself have lots of people coming round, and you will get a hold of a serving dish or board for enough time, it may be worth making 2 cakes and sitting them end-to-end, to appear like a really long sign. But regardless if you’re making one wood, I advise at the very least a freestanding mixer or a hand-held electric whisk: i mightn’t contemplate this manually. Now, it doesn’t look any such thing like a wood when it's simply a bald roulade, but as soon as you’ve spread in the chocolate icing, made approximations of wood-markings upon it (I prefer the razor-sharp end of a corn-on-the-cob holder because of this) and all sorts of, it can look rather impressive. I don’t get in terms of the French, and work out sugar mushrooms to adorn it: this isn't because We are lacking the talent, but also because a light snowfall of icing sugar is perhaps all this yule sign really must finish its wintry excellence.